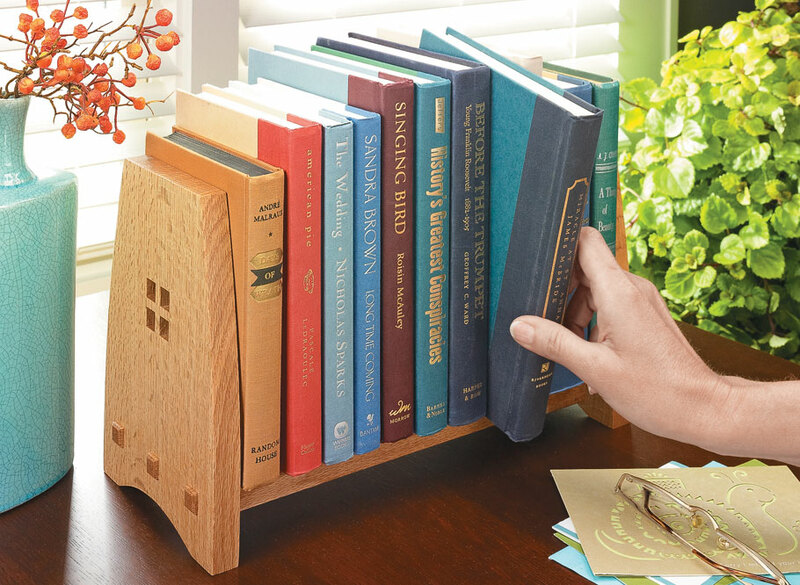 At first glance, there are a few things that make this small book rack really stand out. First, the decorative openings on the ends catch your eye. 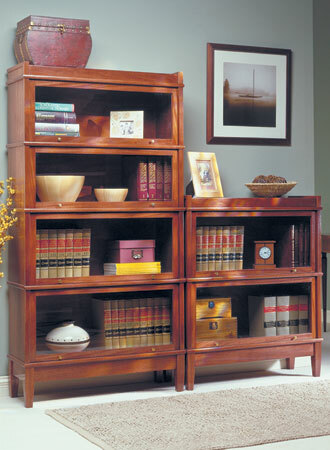 Then the joinery grabs your attention. 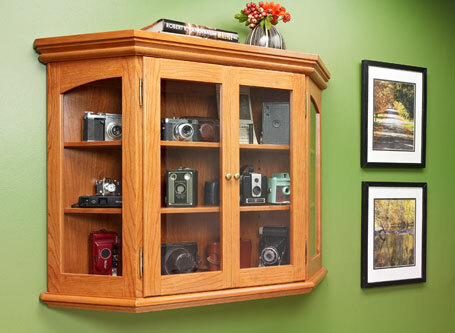 Finally, the quartersawn white oak gives it a classic, solid look. 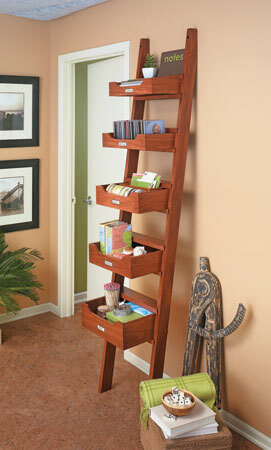 There are only three main parts to this project — a shelf and two gently curved ends that include an arc on the bottom. 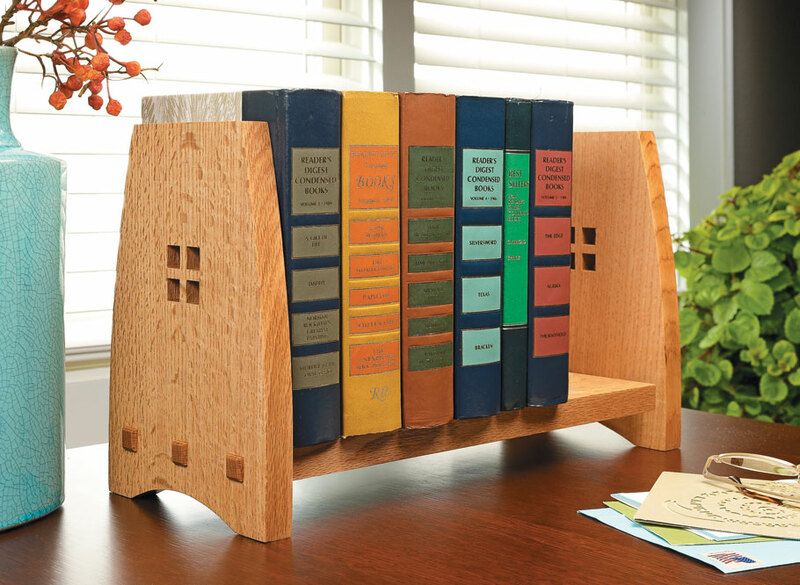 As for the joinery, the shelf looks like it’s connected to the ends with through tenons. But these “tenons” hold a secret. They’re actually plugs over screws that connect the shelf to the ends. 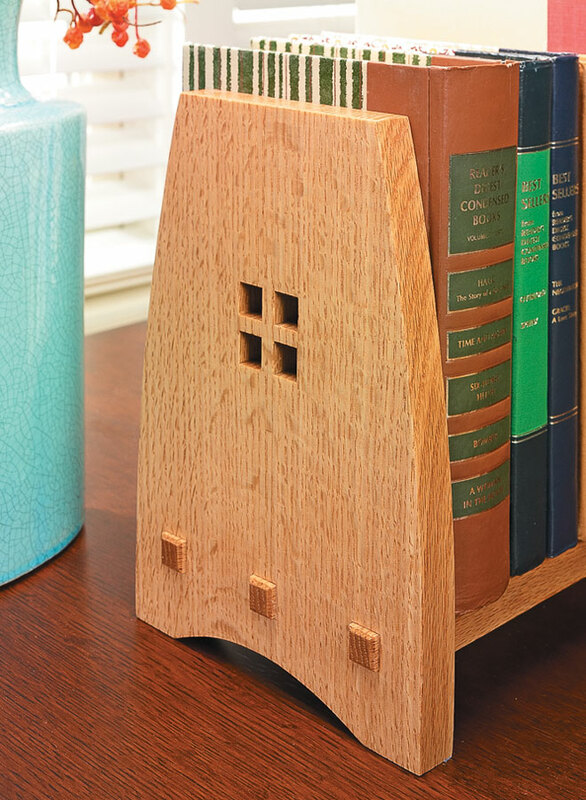 Along with the square openings, the plugs contribute to the Craftsman-style appearance of the book rack. 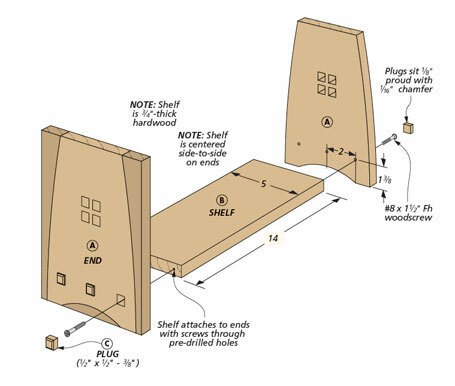 And speaking of the openings, there’s a unique table saw technique for making these square holes that ensures they’re perfectly sized and centered with a minimum of hassle.